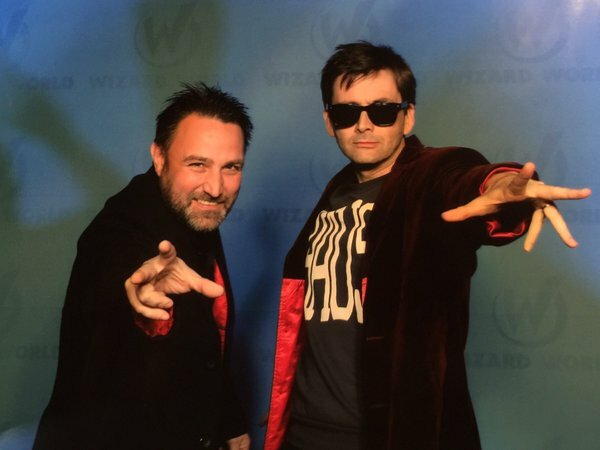 If you needed any further proof that David Tennant was the coolest Doctor, check this out. Attendees at Wizard World in NYC this past weekend were treated to two incarnations of the Doctor. Both David Tennant and Matt Smith. And David Tennant did a quick 12th Doctor cosplay during a session of photos with fans. How cool is that? He knows how to work a crowd, that’s for sure. However, there was a lot more going on at the event. It looks like it was a lot of fun. Check out the Q&A session with Tennant and Smith below. This pair are probably people’s favorite Doctor’s from the new series.